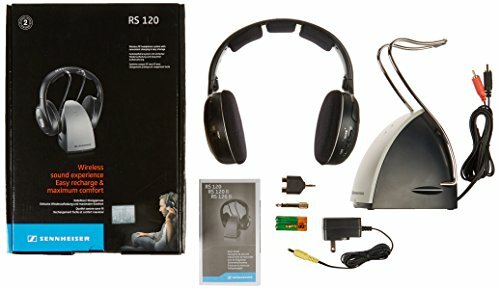 926MHz Radio Frequency (FR) wireless headphone system - Not Bluetooth. The RS 120 RF (Radio Frequency) Wireless Headphone lets you enjoy sound without the cumbersome cables associated with traditional headphones. This system features a lightweight on-ear headphone that receives sound from a transmitter base when connected to an analog output of any audio source (like a TV, sound system or computer). 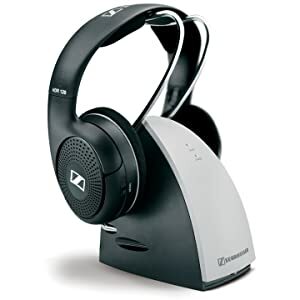 The sound quality is classic Sennheiser; detailed and balanced with good clarity and bass response. 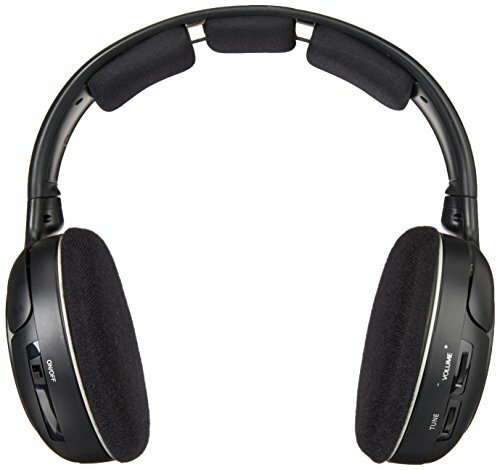 These lightweight headphones, featuring a padded headband for comfort are ideal for long listening or TV watching sessions. 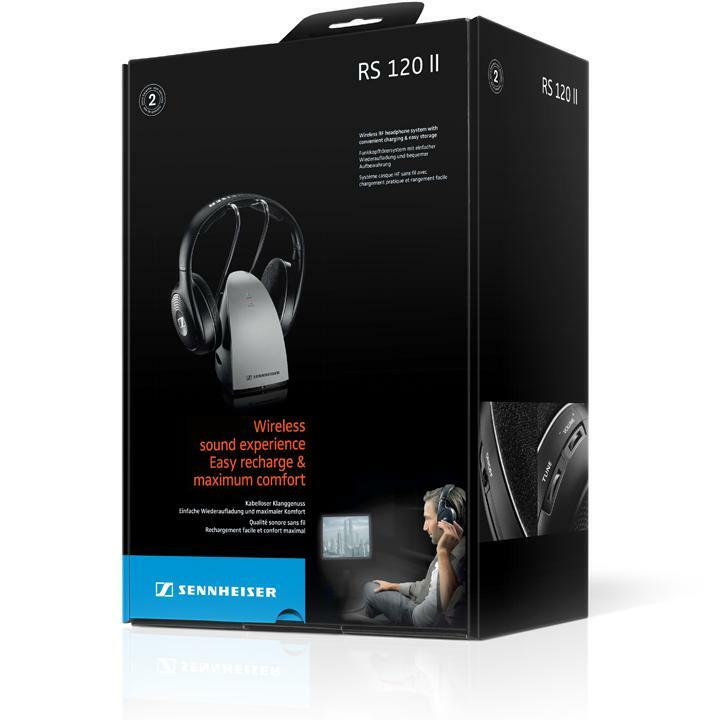 RS 120 RF Wireless Headphones offer exceptional performance and value. 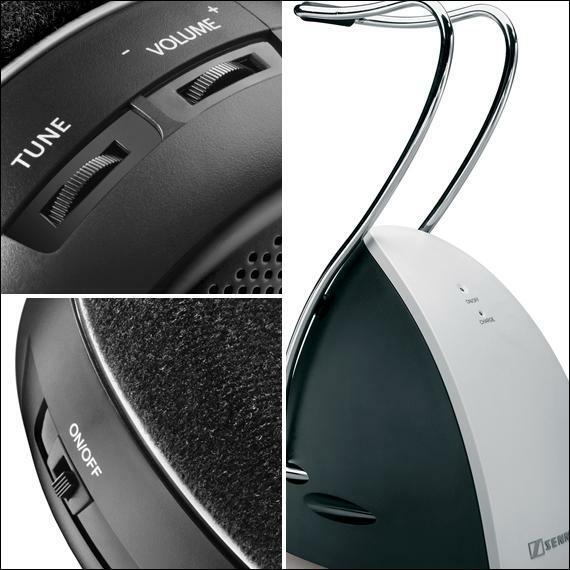 They draw on decades of Sennheiser engineering expertise to ensure premium sound quality, reliability and durability. 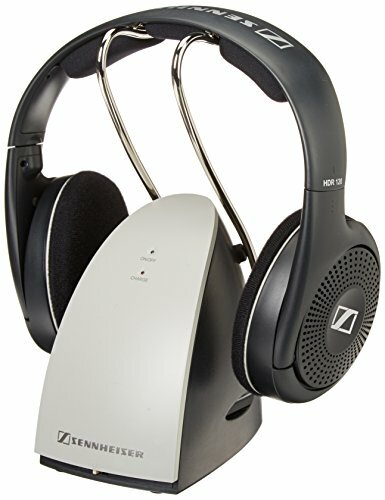 This wireless headphone system comes with an easy to use recharging system. The headphones are powered with NiMH batteries (included). Once installed in the headphone ear cups, the batteries are recharged by simply placing the headphones on the transmitter base. The transmitter also features an automatic on/off circuit. It powers on when the connected audio source is activated without switches or buttons! Five minutes after the audio source is turned off, the transmitter shuts off to conserve power and battery life. Additional headphones can be added to the RS 120 RF wireless system allowing multiple listeners to enjoy the same sound source (model HRD 120 sold separately). 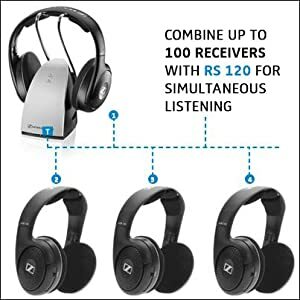 Sennheiser recommends this headphone for anyone wanting an affordable, headphone cable free listening experience! 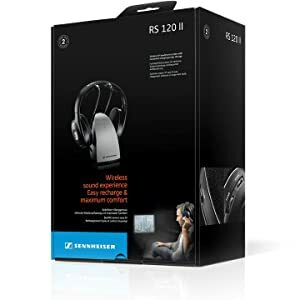 The RS 120 RF Wireless Headphone transmitter connects to anything with analog audio outputs. 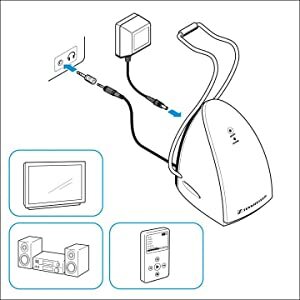 This includes TV’s, audio components, computers, tablets and cell phones that have a 3.5mm or 6.3mm headphone socket, or RCA audio output jacks. RF wireless is not compatible with Bluetooth technology.